The BikeBiz Awards will return to the Cycle Show at the NEC Birmingham in September. Having taken place at the London ExCeL for the past two years, the Awards will relocate to the Midlands to deliver its 11th annual ceremony as part of the Cycle Show’s exhibitor after-party on 12th September. 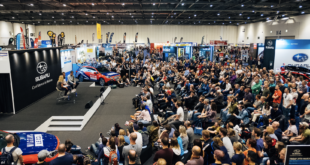 The Awards previously partnered with the Cycle Show back in 2015, but after struggling to meet ticket demand, it was moved to the London Bike Show for 2017 and 2018. However, following attendee feedback, it was clear that the Midlands was the preferred destination for the UK industry. "I am delighted that the BikeBiz Awards will be returning to the Cycle Show this year," said BikeBiz editor James Groves. 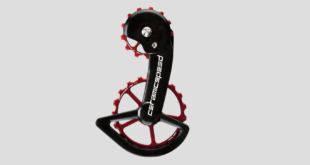 "The show continues to grow impressively every year, and pairing the Awards ceremony with the show’s after-party will place our winners and nominees exactly where they should be: at the heart of the cycle industry." 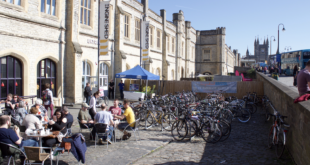 Stephen Morgan, event director at the Cycle Show, added: “We are super excited to host this year’s BikeBiz Awards. We are honoured that they have chosen to partner with us, presenting the opportunity to highlight and celebrate the trade, showing our appreciation for their support over the years. The Cycle Show 2019 will take place from 13th-15th September 2019, with a trade and press day on the 12th. More details about this year’s Awards, including tickets and the nomination process, will be available in the near future.